Does it occur only with one particular camera setting (PgUp/PgDown)? To come back on this: I'm not sure if you're meant to have clipping on the rear wing or not (i.e. nGlide is better than real Voodoo), as on PCem, with a fully software emulated Voodoo2, the same rear-wing z-issue occurs, as it does in dgVoodoo. 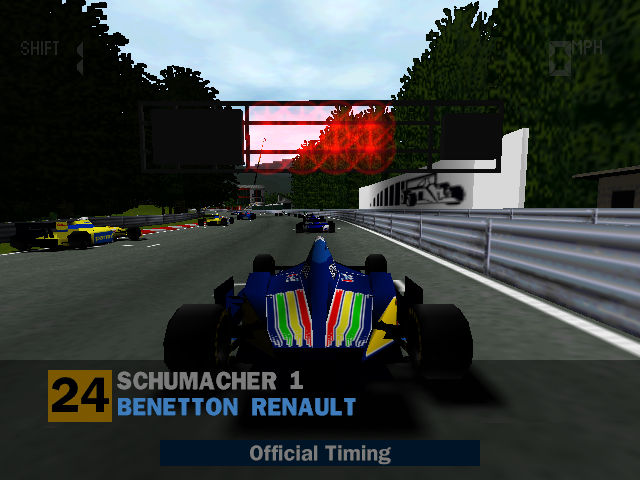 But the other polygon bugs at Monaco (car sinking, etc) are clearly an issue. One final thing: overall dgVoodoo2 gives the best result, apart from the rear wing being inside the car. The main issue with nGlide I'm noticing on many tracks is that the edging of transparent textures (trees for example) fade to a hard black colour. Not sure if this can be improved, as I don't see it in PCem or dgVoodoo2 really. Time for some screenshots and video evidence! 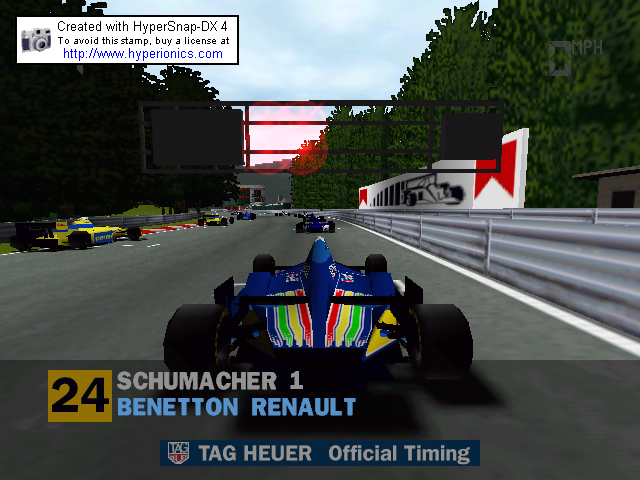 Note that I'm running one of the various Formula 1 patches though, I think it's the "joystick version" (see here http://www.patches-scrolls.de/patch/1711/7/), it skips the opening video which crashes otherwise. It has some bugs in the executable, but I don't think the 3D is part of it. You can install it by installing the game on a virtual machine then copying over the install folder to Win10. PCem and dgVoodoo tree/horizon edging seem closer to real Voodoo2 hardware (see here: https://www.vogons.org/viewtopic.php?f= ... 15#p661792). I think the red Marlboro chevrons might have been intentionally removed from the budget Platinum rerelease. Thanks for all the info. That should be enough to reproduce them on my end.